Why use hand crafted soap? I recent ran across blog post on the five reasons hand made soap is better than commercial. In exploring the blog further, I discovered that Jean of Garden of Beauty retired her blog in July 2013. I didn’t want to lose the post so I decided to repost it here. Hope you enjoy. So, what exactly is “soap”? After all, we’ve heard of large corporations try to downplay their effectiveness, saying their “beauty bars”, “body bars” and “bath bars” are far superior. They claim that their formulas are super moisturizing, gentle for your skin and aren’t ‘drying’ like soap. the sodium or potassium salts of the acids contained in the fat.” The chemical reaction of these ingredients mixing and forming soap and glycerin itself is called saponification. When this happens correctly, no lye (sodium hydroxide) remains. Soap’s been made this way for centuries. There are soaps for the face, body, hair, pets, household purposes- you name it! But are all soaps created equally? No, and neither are they “bad” or excessively drying – if you chose the right kind. 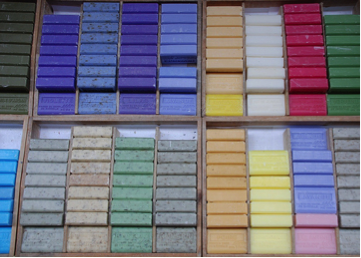 Commercial soaps, like Dove, Dial, Irish Spring, Caress, Lever 2000, or Ivory are available everywhere for very low prices. Some of them were marketed as deodorant soaps, and these could be especially drying to your skin. Soaps like these are better classified as detergents. You know, the stuff you use to wash your clothes and dishes. They can also include tons of preservatives, cheap synthetic fillers, and fragrances that can flare up allergies and sensitivities in some people. The alternative? Using handmade soap, or soaps with pure ingredients. Not only are they gentler than those harsh detergent bars, but they are usually much more moisturizing, come in a variety of scents, and last much longer than the average drugstore bar. Below, I’ll briefly discuss 5 reasons why these soaps are just all-around better than the commercial stuff. Handmade soap from talented artisans always use fresh, high-quality ingredients such as essential oils, shea butter, coconut oil, oatmeal, or goat’s milk. Natural handmade soap do not have added synthetic preservatives. 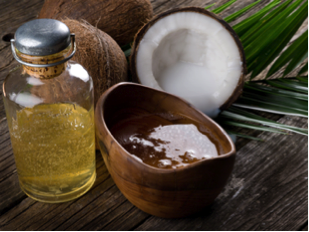 Some essential oils, such as tea tree, can serve as a natural preservative. 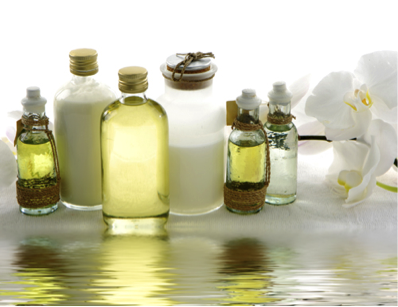 Commercial soaps add tons of extra preservatives so they can sit on the shelves longer and keep costs down. Irritating surfectants, detergents and dyes round off the not-so-wholesome list. In the Dove bar, tetrasodium EDTA is a preservative, known to cause irritation among some individuals. Sodium cocoyl isethionate and sodium isethionate are surfectants, like sodium lauryl and laureth sulfate. In comparison, A Wild Soap Bar uses organic coconut and castor oil for lather, and cedarwood and orange essential oils serve as natural preservatives. Looking at this list of ingredients, which soap would you rather have on your skin every day? Many of these handmade soaps are created by artisans in their own homes. These largely one-person entrepreneurs are made with the personal care and touch you don’t find in a bar of Irish Spring. Go to your local farmer’s market and note the extra attention and customer service you receive from a small business owner, ready to educate you about their wonderful handmade soaps. Their transparency is refreshing! Small businesses make the world go ’round. They’re everywhere, and they keep the economy going. Why give your dollars to a multi-million dollar corporation when you can support your neighbor who is giving back to the community, or your business driven cousin with a passion for soap and aromatherapy? Your money’s going directly to the source, the very person making these products, instead of a team of advertisers, marketers, sweatshop workers and other nameless corporate. You can’t beat all of this, and a better shopping experience! While there are more and more commercial soaps that include glycerin, they also pour on the synthetics, cheap preservatives, detergents and dyes. The amount of glycerin remaining is rather miniscule compared to handmade soaps, where every bit of this super moisturizing by-product remains to soften your skin. This glycerin is also added into the commercial soap, not a result of being left in like handmade soap. What is glycerin? It’s a natural humectant, and attracts and retains moisture. This comes from the saponification process and is a by-product of soap making. Most large soap manufacturers remove the glycerin and sell it separately since it’s very valuable and profitable. They replace the glycerin in their soaps with synthetics that just don’t feel the same. Glycerin is a big factor in why handmade soaps are so beneficial to your skin’s texture. So, if you spot it in the ingredient list for some of the newer commercial soaps (like Dial NutriSkin), remember that it’s not worth paying a dollar less for all those extra irritating ingredients and agents when you can spring for a nice, big bar of handmade soap with a lot more glycerin and a lot less bull. For more information on glycerin in handmade soap, click here. Say you love a certain handmade soap, but want a different essential oil added, or maybe want to substitute one ingredient for another because your child prefers it. Think you can ask Unilever to add shea butter to a specific brand of their soap? Fat chance of that happening. However, it’s very likely you can request a custom made soap with the scents and ingredients you want by a handmade soap artisan, no questions asked. If they don’t have a particular fragrance available, they can get it for you as long as there’s a mutual understanding between lead time, cost and delivery. Accepting a special request, assuming they’re reasonable, makes for great customer service. You don’t get this sort of extra attention when buying an 8 pack of beauty bars from CVS. You never have to wonder if the scent you’re looking for, or the particular ingredient you want, is not available somewhere. If artisan A doesn’t or can’t meet your request, there’s someone who can. Never settle for the stuff at the drugstore if that’s not what you really want! Large soap manufacturers make their soap bars in mass. They use big soap making machines that produce waste and can harm the environment. Ingredients and by-products like petrochemicals can result, and the machines themselves aren’t exactly helping Mother Nature, are they? Think of all the extra fuel that has to be used for those factories, as well as the delivery trucks holding the soap for distribution. Don’t forget the tons of paper used for packaging purposes, many of them not earth-friendly. In comparison, handmade soaps are created using minimal ingredients and there is no harmful waste. Most handmade artisans are also environmentally conscious and use biodegradable labels, reusable packaging, or no labels at all! The ingredients leave no residue on you or your bathroom, and require less cleaning with even more harmful chemicals. More and more of these handmade soap companies also raise their own goats for their milk, grow their own herbs, and only purchase high-grade organic essential oils. Going organic is even better, as you’re ensuring your soaps are only made with the finest ingredients grown or raised without extra harsh pesticides, fertilizers, genetically modified organisms or hormones. There are TONS of handmade and natural soapmakers out there. Start with the list at Beauty by the Batch, Etsy, or the Soapmakers Guild. Trust me, there is no comparison – natural soaps feel great, rinse clean and leave your skin soft and silky. It’s wonderful, and I could never go back to using the old commercial stuff, ever! There are some other interesting posts on http://www.gardenofbeauty.net if you are interested you might want to take a look before the site disappears. I have not idea when that will be but I recently tried to access a blog that I had booked marked only to find that it had been taken down. Remember: Bathe responsibly – use hand crafted soap. Just wanted to say how nice your soaps look. Gives me a few ideas too. I’ve been making soap for about 2 years now and agree wholeheartedly with your reasons to use and support small businesses.